Air, soil and vegetables in Veles are completely contaminated with toxic metals! The recent research of the prominent professor Trajche Stafilov’s team from the Institute of Chemistry has shown devastating results – people around the closed lead and zinc smelter and the unprotected dump breathe air that is over 10 times more polluted than allowed, and eat vegetables rich with heavy metals. The results confirm the 10-year poisoning of the town in the heart of Macedonia. Scientists and environmentalists ask for an institution that would put a strict line, remove vegetables from the free market, decide upon greener alternative and implement a long-running project against air pollution. “The most worrying data is in the samples of moss, the houses and vegetables from Veles and Povardarie. In order to see the condition with air pollution we collected samples from 25 houses from different locations of Veles, three near Bashino Village, Lake Mladost and three as a control area of the village Izvor. Dust was collected from the attic beams and house dust was collected with pumps – one that people breathe in. The average value of the cadmium content of the beams is unique in the literature! Even 240 micrograms in kilogram, and the interventional limit for soils is 20! Such dust on average has been existing for those 30-40 years, since the beginning of the work of the smelter, until now. Imagine what the citizens of Veles are breathing at the moment! Even in the villages next to the town cadmium is relatively high. Indium is even more toxic than cadmium. For it the permitted value is about 0.5 micrograms and attic dust showed 1 milligram, also in the villages. 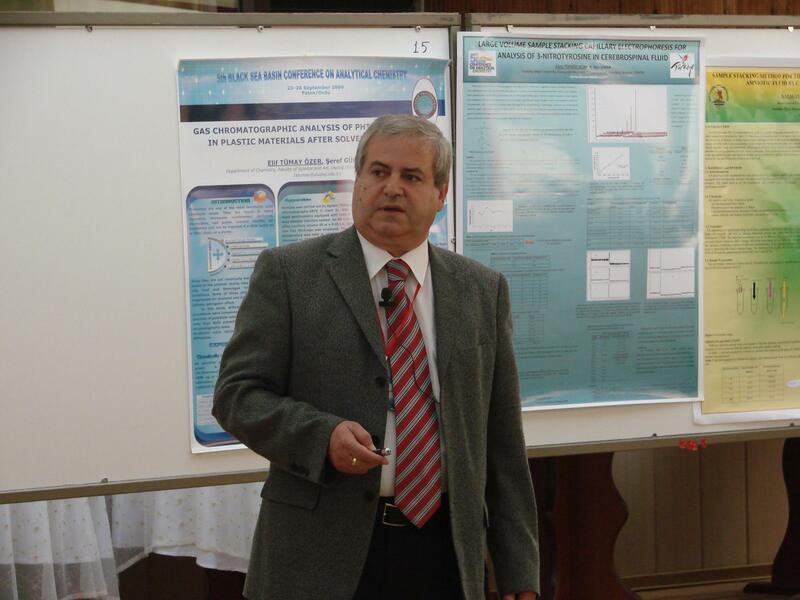 The situation with lead and zinc is similar situation”, says Prof. Dr Stafilov for “Inbox7”. Locations around the smelter are unique areas for production of vegetables and fruits for the citizens of Veles. Nearby is the slag dump with 1.5 million tons of waste. The dust is spread to Skopje and south with the winds. For 30 years Veles region has been exposed to heavy metals, and recent studies show that local soils are maximum “rich” with cadmium, lead and zinc, affecting the root system of vegetables. Maximum allowed concentration of cadmium in vegetables is 0.05 milligram in kilogram, and the average value in the past researches showed five times higher results. Polluted vegetables 15-20 times more than allowed have been analyzed! * The limit values for presence of cadmium and lead in vegetables are set out in the Rulebook on general food safety requirements (Official Gazette of RM No. 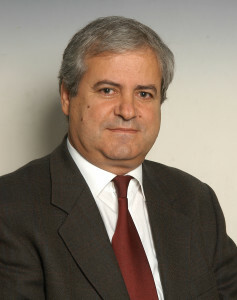 118/2005). Competent authority – Food and Veterinary Agency. “Samples from recent research have found that practically there are no vegetables without high concentrations of metals. The reference limit for presence of metals has been exceeded in the samples of onions, garlic, lettuce, radish, broccoli, beetroots, so-called ice candle…This is impermissible. We are now preparing to officially publish those results. It is also about washed vegetables without residues of soil dust. This means, according to our general food safety requirements, that vegetables from the region should immediately be banned for sale and consumption! It is about soils contaminated with cadmium, lead and zinc. In countries that stick to regulations, when they see something like this, they will say “STOP” – there is no growing vegetable and they pay compensation to farmers. Macedonia has limits for metals in vegetables, but, unfortunately, there is no standard for permissible content in soil, although it is necessary and we have indicated this to the Ministry…Therefore, we have used the Dutch parameters, already recognized at European level”, explains Professor Stafilov. Through its research he also mentions distribution of metals in honey. 130 samples were collected from Macedonia and 10 from Veles. In six from Veles concentration of cadmium was above the limit. The dust was so “rich” with heavy metals in the period of flowering, and it was reflected in the honey. According to Igor Smilev, president of the environmental group “Green Power”, modern history does not remember such a brutal environmental holocaust which killed the people, the air and the soils in Veles. Another concern is the unbearable ease with which the competent authorities, as a fast train go over all recent catastrophic findings of the prominent and award winning Stafilov. Therefore, they will seek justice before the European Court of Human Rights. “We are mostly struck by the fact that there is no punishment, no one to blame, only defeated and destroyed destinies. Because of this stunning and rigid relation, we will begin to search justice in some alternative European courts, as Macedonian courts do not have enough intellectual, human and administrative capacity to identify pollution. Preparations for appeal to Strasbourg are in process, where we will ask for justice for historical pollution of Veles, which unfortunately did not receive fair ruling in the Macedonian courts”, announces Smilev for “Inbox7”. Smilev thinks that Veles lives the hardest time of its existence. It involves extreme and deep poverty, hopelessness and unemployment of biblical proportions. In such a situation it is almost impossible to have environmental effect on the citizens of Veles because they sell the last piece of fruit and vegetables for bare survival. According to him, the slag dump (black hill) is a children’s disease in terms of the hard affected Veles soil and vegetables. 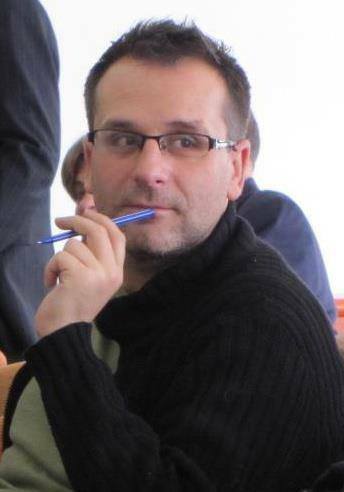 In the next period data and results of the new study will be officially published by Stafilov’s team, and “Green Power” along with “Green Coalition” will deliver the English version to all European environmental centers. “The truth is implacable – garlic and spring onions in Veles are “several times heavier” than other related species in Macedonia. For the same money in Veles you get bigger “quantity” due to cadmium, zinc and lead. It may sound cynical, but I cannot reconcile with the cynicism and hypocrisy of authorities who promote Macedonia across Europe as a fertile ground for production of healthy and organic food, on the other hand are silent before scientific facts presented by the most prominent institution MANU. Ecology is actually part of the holy trinity of sustainable development with economics and social welfare. There is no sustainability of a society if missing at least one of these links. At least now we know how far we are far from a sustainable society”, says Smilev. Stafilov points out that currently among the most problematic hot spots is the dump in the yard of “Ohis”. It is left outdoors and contains 13,000 tons of carcinogenic pesticide lindane which binds with PM 10 particles. Among problematic “hot spots” is the former “Jugohrom” for production of ferrochrome, now ferrosilicon, Skopje Ironworks, and the waste from plants in Bitola and Oslomej with large amounts of ash, which annually, without protection, deposit 1.3 tons of waste. “The results showed that in the samples of 2005 and 2010 the associations of elements with lead, zinc, cadmium, antimony still dominate in Veles, Skopje and Povardarie, but the contents have also increased in eastern Macedonia, because in that period three mines “Toranica”, “Sasa” and “Zletovo” were reactivated. The amounts of waste slag around “Bucim”, however, are so large, that can be seen from “Google Earth”, says Stafilov. In many places the distribution of metals has been affected by the natural geological processes, river basins, the rose of the winds…With the bioavailability of metals in the vicinity of the mine “Alshar” seven endemic plant species – violas exist. They have adapted to toxic metals and have developed incredible absorption ability. They are unique in the world! 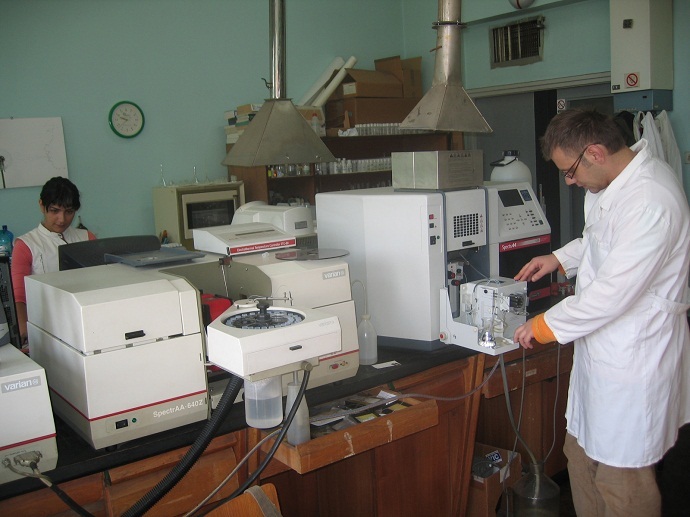 All findings of Stafilov for heavy metals through the last 10 years are supported by a number of domestic and foreign scientists, chemists, geologists, biologists, professors… Stafilov’s team uses radioanalytical and spectrometric techniques. It has cooperated with research institutes from Romania, Slovenia, they have used a nuclear reactor from the Institute in Dubna, Russia. The established data network is a continuation of the industrial waste study. It showed that the country annually generates almost 20 million tons of this waste, of which 4.6 million tons, almost a quarter, is waste with harmful toxic substances! 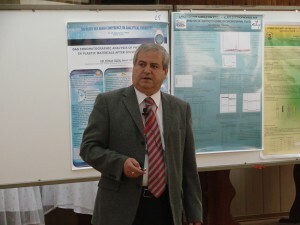 Therefore Stafilov emphasizes the need for preparation of a national Geochemical atlas. This document will give a more detailed picture, encompassing the entire existing data network for distribution of heavy metals. It would be a great geochemical platform, but scientists and Stafilov for now alone invest for its realization, without any support. 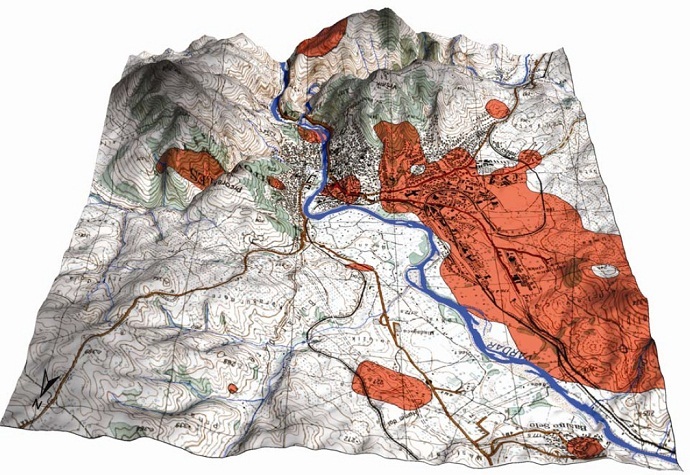 “All European countries already have a Geochemical Atlas. For example, five years ago the colleagues from Croatia completed and published it from the local Geological Institute. We abolished our Geological Institute in the early nineties, now it has been re-activated at administrative level. The database includes even 8,000 data about heavy metals, of which 4,000 are soil samples, 800 are analyzed samples of mosses, different kind of dust, also there is food…With this atlas the state will be able to build strategies and implement measures against pollution with metals in different regions. I hope that by summer we will have finished all the analyses that we perform ourselves, without concrete help. Most of the costs are our, personal”, points out Stafilov, whose team has 50 scientific papers related to this issue. Citizens of Gevgelija continue with the pressure on local authorities after the Center for Public Health in the local water found presence of arsenic of about 15 micrograms per liter. This is 50 percent higher concentrations of arsenic than the limits prescribed in the national water safety regulations. The initiative “Arsena” requires responsibility and more concrete activities against arsenic. Municipal leadership has not passed a ban on drinking contaminated water, although such norms are prescribed by the World Health Organization. So residents of the town of casinos and Rusalisko oro require new exploitation wells, reservoirs, to be built in the municipality Gevgelija, or to invest 10-15 million Euros for dearsenification of the spring at Moin. They propose the Municipal Council to reduce the cost of water at a level of technical water that citizens will use only for hygienic needs. “Science has advanced and found that 10 mg/kg are harmful to the human body. We as a country need to stick to these standards. However, it is striking that those who have to implement the standards, regulations and laws, and that is the institutions, public utility, local authorities and councils, do not participate and discuss the problem, and do not want to take steps to find a solution”, said Jovanka Dojranlieva of the “Arsena” initiative in a recent debate. Citizens of Gevgelija propose opening special stores for purchase of bottled water at subsidized, purchase price. Also, in each bill sent by PE “Komunalec” to consumers of Gevgelija water supply, and that everyone pays, a message to be printed “Not drinking water”. If a solution is found against the big amounts of arsenic, citizens of Gevgelija think local diseases will be reduced. “Arsenic is toxic and affects not only breast cancer, but all cancers. Lung and colon cancer and all organs. That is why it is best not to consume this water. Fight for it to be purified. In my area – breast cancer, I absolutely have an increased number of patients. So not only with breast cancer, in other locations the number of patients with malignant diseases from the municipality Gevgelija has increased in recent years. And mostly much younger women, younger patients”, said Prof. Dr Meri Peshevska from the Institute of Oncology in the debate. Professor Trajche Stafilov reminds that the presence of arsenic in Gevgelija comes from the volcanic eruption that 5 million years ago was caused at the locality Alshar. When maximum arsenization broke out, arsenic minerals were distributed under pressure around the whole Kozhuv. The indicators are similar to the Greek territory, but it does not mean that it should not be reacted upon it. “In the Skopje water its concentration is below 0.1 milligrams per liter (under the limit of detection) and in the Kavadarci water it is 4 mg. Arsenic exists in the water across the region, but is far below the Gevgelija values! Within the European project five years ago with students of all major cities we collected water samples. We collected from Gevgelija, and I got confirmation of the results even from Berlin. I immediately asked an alternative to be sought, a new source, or a ban on drinking the water. The City Protection Office is responsible for analyzing samples. If in one perimeter the limit is exceeded of 10 milligrams, then the water should be banned for drinking! We published the results in a magazine, I sent them to the Ministry of Environment. 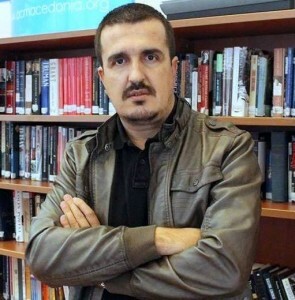 We informed the municipality Gevgelija, but that work stopped…”, points out Stafilov. Arsenic is the 20th element by representation in the Earth’s crust. It was first documented in 1250, and over the centuries it found various applications in medicine, in the segments of construction, even in art. For impressionists arsenic was a compound of a particularly esteemed color – Paris Green. Its toxicity made it a favorite court poison, with symptoms similar to cholera, and later it was often used for political purposes. It is believed that Francesco I de Medici, his wife, and King George III died of arsenic, there are supporters of the theory of a similar death of the Emperor Napoleon Bonaparte… Even today it is known as poison among kings and a king among poisons. Arsenic is spread on Balkan soil, during the times Balkan endemism of kidney diseases has been developed etc. Arsenic is differently toxic in air, food and water. 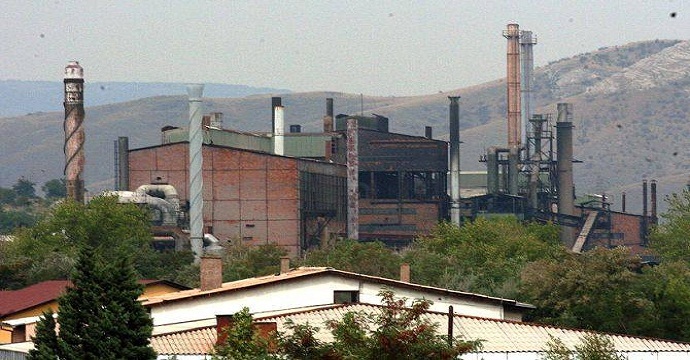 Stafilov’s team alerts to pollution in Kavadarci, where the plant “Feni” is located. The work of the smelter does not significantly affect nickel content in the soil, but is related to the natural process of soil. The highest values are from the area of Paleozoic and Mesozoic rocks, and such “rich” zones with chrome and nickel ores are registered in the upper north line of Kosovo and Bosnia. 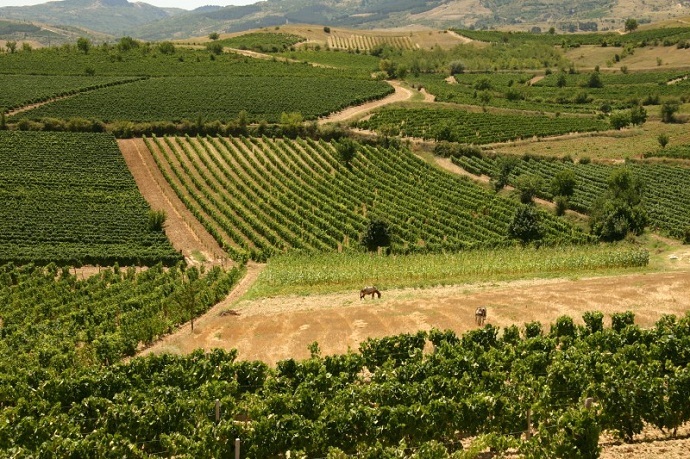 The surface soils in Kavadarci contain cadmium, mercury and lead more than the deep soils. The phenomenon was observed along the Crna reka, after the dam at the Tikvesh lake. There is a high content of arsenic, antimony and thallium. Scientists have determined that this is anthropogenic pollution of river sediments from the mine “Alshar”. Though 40 kilometers far, however, the river Blashnica flows into Tikvesh, formerly in the Crna reka, and those sediments are transferred to this region. The sediments are assumed to have been most intense from the activation of the mine in 1880 to its closure through the Balkan wars. “However, we wanted to determine what the condition is with air pollution around Kavadarci, because the presence of dust is very obvious. 31 sample of moss were taken and 47 elements were analyzed, so with statistical processing association of nickel and chromium was taken. Very high content of nickel even up to 400 milligrams per kilogram. Kavadarci villages and the town “keep” dust with extremely high concentration of nickel, chromium and cobalt”, says Professor Stafilov.